The infographic below will give you a better sense of how the different documents in the exRNA GenboreeKB relate to one another. As an example, we see that any document in the "Study" collection will have a connection to a Submission document in its "Related Submissions" item list. are made apparent through the use of red arrows and the red text within each collection's attributes ("Related Submission" for the "Study" collection, for example). to get a full list of the different properties that a given document within that collection will contain. Finally, the box in the lower right corner of the infographic gives some information about how each document is named. 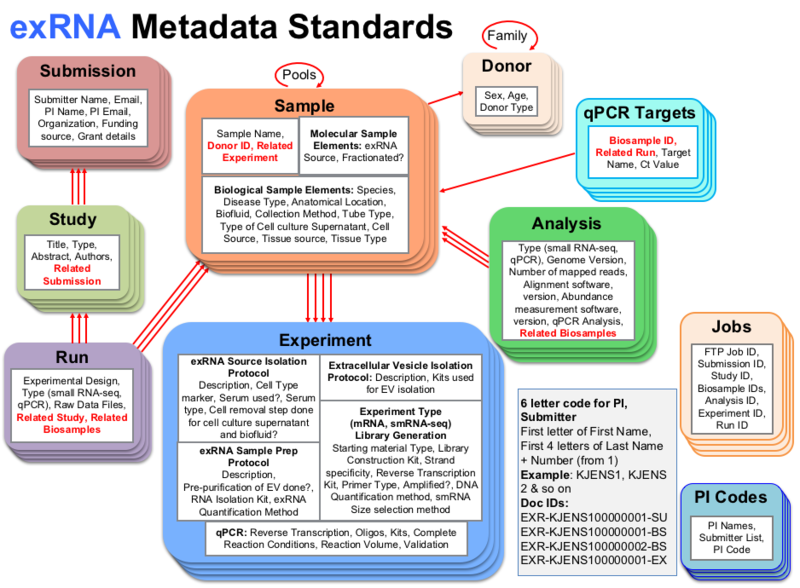 More details about how individual documents are named can be found in the exRNA Metadata Documents Accession section below. Refer to the Prepare your Metadata Archive Wiki for more details. 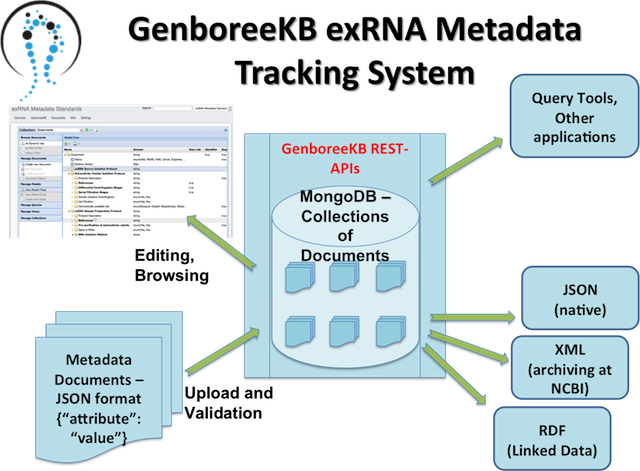 If you want to learn more about how the exRNA GenboreeKB works, you should check out the introductory materials here.